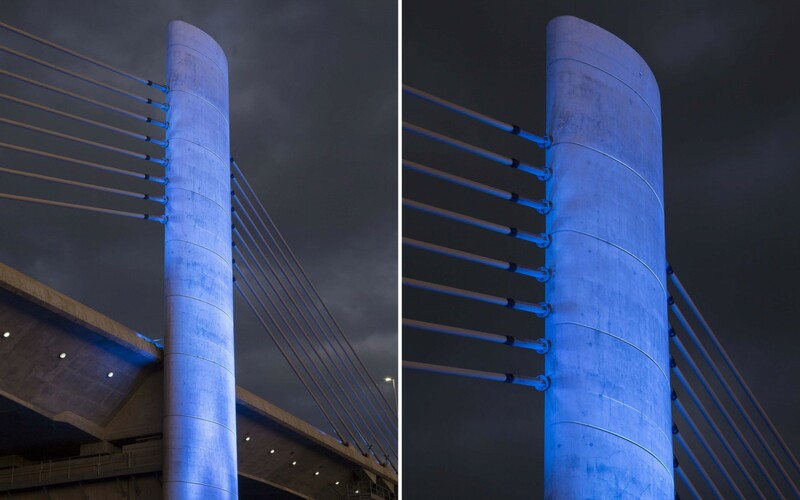 Lighting Design: Brandston Partnership Inc.
Lumenpulse fixtures show off their versatility: A large bridge that required an illumination that was appropriate to its function as a memorial while also considering the complexity of its previously embedded conduits. 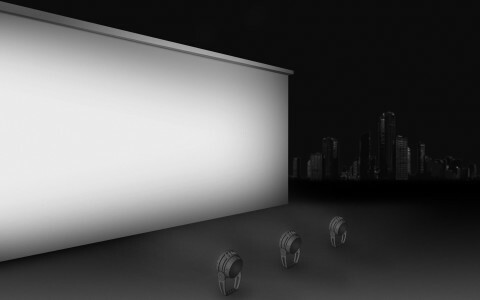 We were familiar with the Lumenpulse products from other prior projects. We appreciated their variety of beam spreads, intensities and accessories. 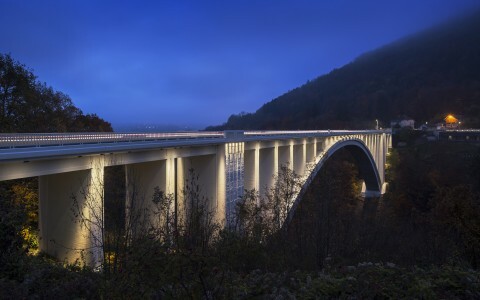 Also, we knew the exterior luminaires were very rugged – an important consideration in bridge lighting. 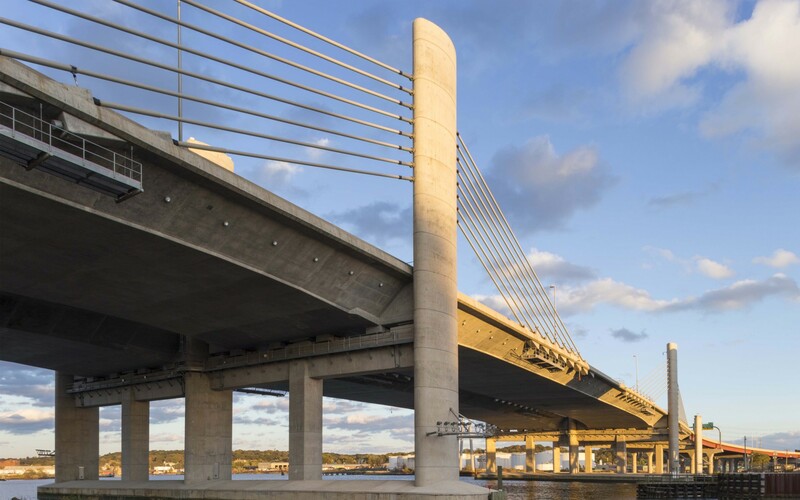 The Pearl Harbor Bridge is ten lanes wide and traverses the Quinnipiac River in New Haven, Connecticut. It is crossed and recrossed by thousands of commuters each day. 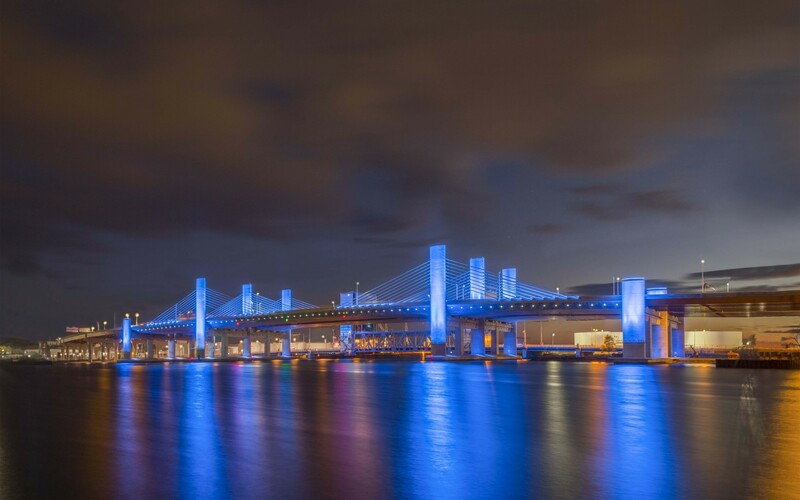 This practical landmark, also known as the Q Bridge, was the first bridge in the state to have such versatile lighting put in place to celebrate and accentuate its character. 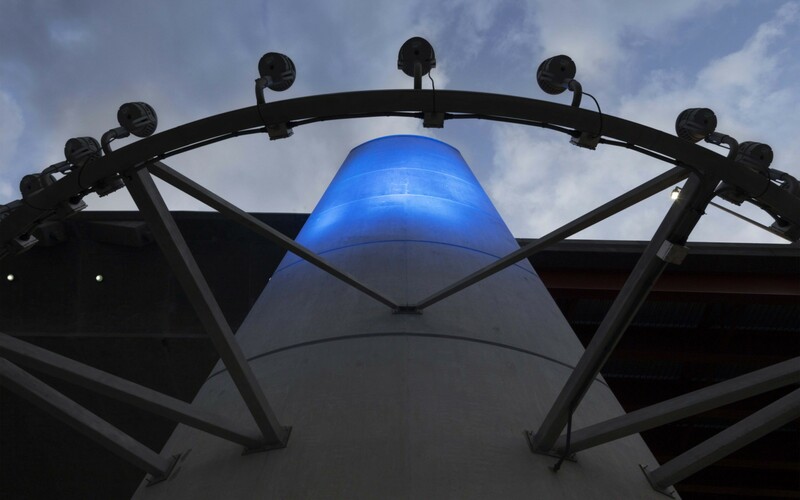 Brandston Partnership Inc., who had been subcontracted by AECOM, originally designed the lighting based on metal halide technology. 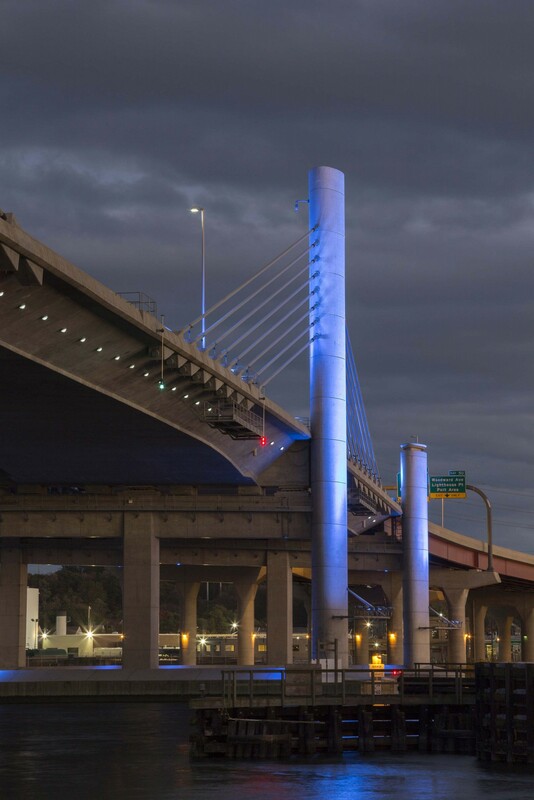 The Connecticut Department of Transportation (CTDOT) decided that the project should be re-specified so as to partially use LED luminaires. 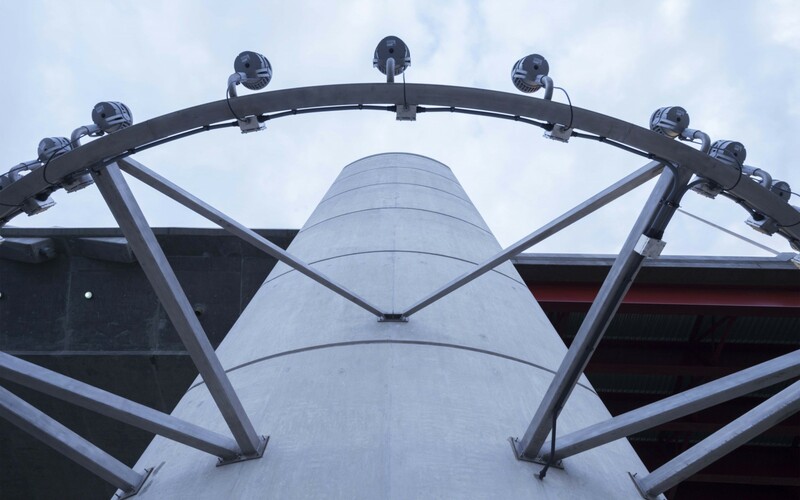 However, the conduits and junction boxes had already been imbedded in the bridge's concrete so as to support the halide technology. 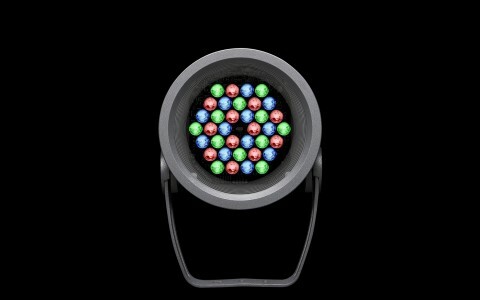 Thanks to Lumenpulse luminaires' versatility and easy adaptability, this became of little concern. 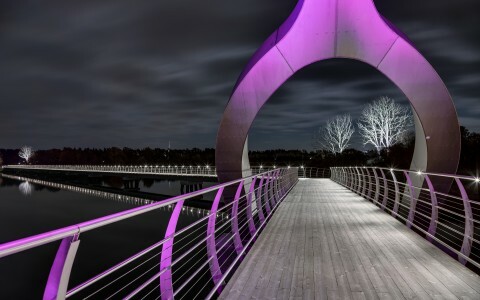 "By the time we began work on a more thorough study, we found that Lumenpulse could in fact replace all the specified metal halide units,'' says Robert Prouse, Partner at Brandston Partnership Inc.
‘'The CTDOT also queried us about the feasibility, as well as the appropriateness, of developing a color-changing system," says Prouse. 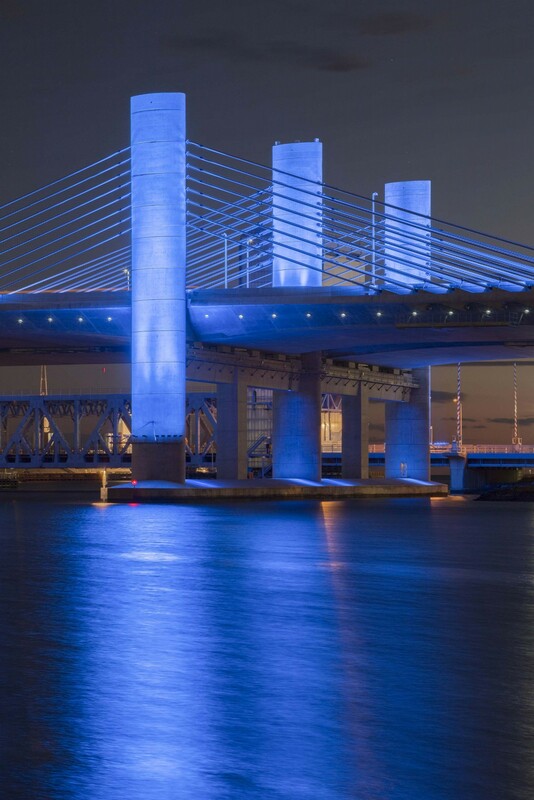 The Pearl Harbor Bridge is a functional monument that would require a respectful illumination. 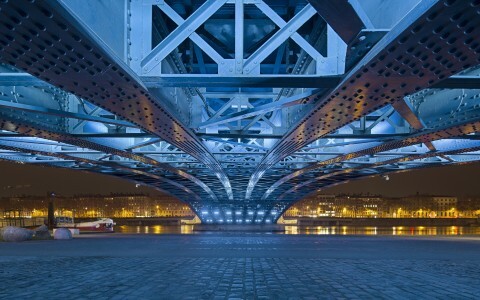 The illumination of the bridge would have to be versatile because a constant technicolor lighting would not be appropriate. 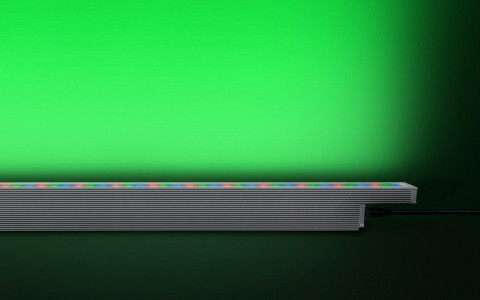 "It was finally determined that color changing would be implemented with the understanding that it would be used on a limited basis for major holidays.'' The Lumenpulse fixtures met all these criteria. 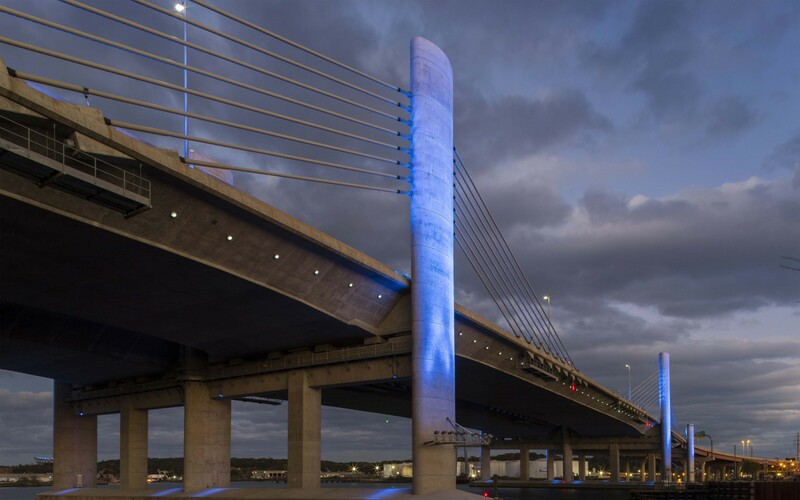 The Lumenpulse fixtures won over the hearts and minds of all those involved in the project not only because of their versatility and ease of installation, but also because of their lighter environmental footprint. 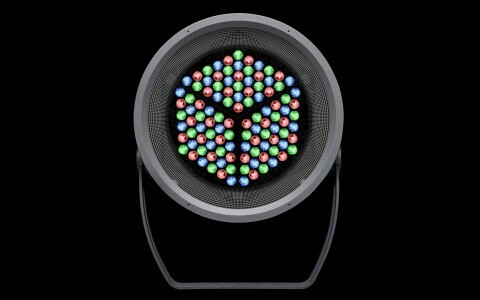 The fixtures offer a majorly reduced energy consumption, in comparison to other alternatives. Also, for several years it's been known that forceful uplighting interferes with birds' navigation systems during their migration periods. 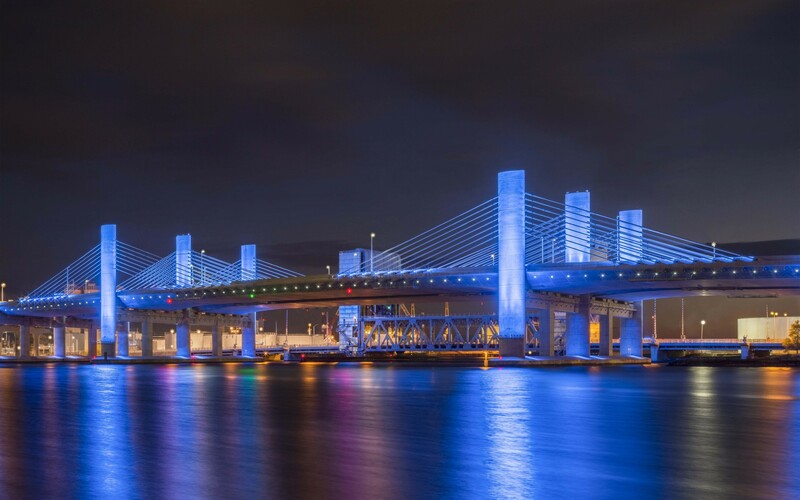 The precision of the Lumenpulse fixtures cut down on auxiliary light pollution, and, ‘'The lights will be shut off periodically for short durations in conformance with bird protection protocols approved by the Connecticut Department of Energy and Environmental Protection,'' says Prouse. 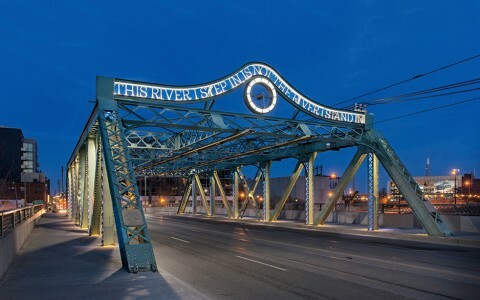 The bridge's lighting system, and its entire rejuvenation, was completed in September 2015. 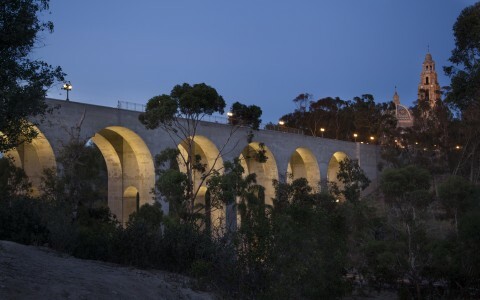 The project was under budget and eight months ahead of schedule. The Pearl Harbor Bridge stands as a means to an end, a method of travel, but it also stands as a means to remembrance. The guylines shine and embody a mesmerizing strength at night as they climb to and from the stalwart pillars. The pillars, themselves a beacon of resilience, seem to be glowing warmly from within whenever they are lit.